5. Twitter work has to be submitted in this thread before SUNDAY 23:59 GMT every week. Make One post for full campaign and edit it every time. 1. Like the Telecoin official Facebook Page. 4. 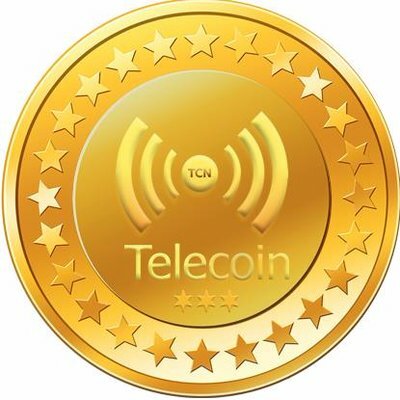 Like and Share at least 3 Telecoin posts per week. 5. Facebook work has to be submitted in this thread before SUNDAY 23:59 GMT every week. Make One post for full campaign and edit it every time. Note: We check Shares and posts manually, so please be patient. 2. You need to follow the group until the end of the ICO to get the bounty. 4. For earn the TNC token, you have to make at last 2/3 message in the group. Don't make the same message everytime also. Otherwise you will not get any payment. Post about Telecoin in Reddit. Follow Telecoin in Instagram & post about Telecoin. 2. Make at last 5 share/post about telecoin. 2.Share at last 3 post every week. 3.Make at last 1 own post with #telecoin every week. We are looking for active Bitcointalk users. All participants need to make at least 10 posts to be eligible for the reward. 1. Participants must be at least a junior member (newbies are not allowed) to participate. 3. A minimum of 10 meaningful posts must be made each week. 4. Each post must be at least 75 Characters. 6. Posts in alternate cryptocurrencies section are required. 7. Participants cannot have any negative trust score attached to their profile. 9. Spam is strictly prohibited. Users found spamming will be immediately and permanently disqualified. Translation of ANN thread : 100 Stakes. Translation of whitepaper : 200 Stakes. 5. Abridging of information or any other structural or conceptual changes are not allowed. #We are also accepting Bangali(বাংলা) Translation. Write a good article, review, or blog post about Telecoin - The De Facto Crypto Currency For The Telecom Industry in your words; Post that on your website or blog.
. The article/review/blog post must be at least 300 words and video must be at least 1 minute long. 2. Content must be unique and it will be checked for plagiarism or copyright infringement. 6. Article/review/blog post must contain at least one link to the Telecoin website. 2. You must submit you mail list. 1. Make a post with your past work proof/Links.